A very special someone, who may or may not be my husband (he hates when I publicly make a fuss about it) has a birthday tomorrow. So, in honor of his special day, I thought I'd do a bit of a birthday post. 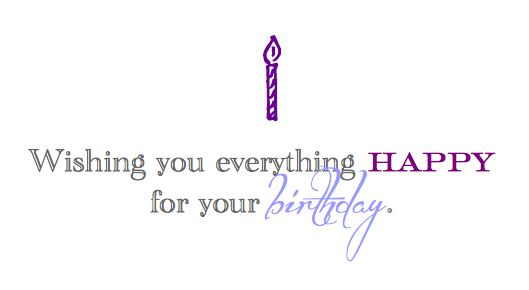 I've share these birthday quotes several times here at Blissful Roots. They're something I made even before I started blogging, and are still some of my very favorites! I've also been wanting to try printing on a paper bag for a quite some time now. 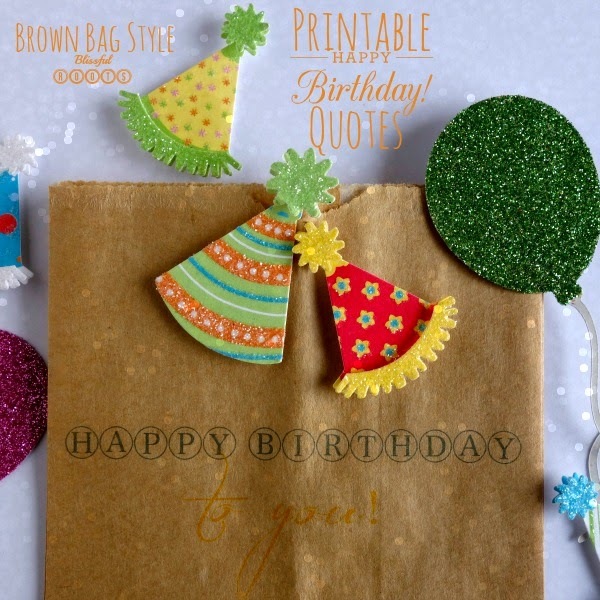 So, I thought the birthday quotes and brown paper bags would be there perfect match! Here's a great tutorial on printing on paper bags. This tutorial is a bit more complex than my method, but I want to try it some time because it looks more professional than what I did. In a nutshell, I first printed the quote onto white paper, then taped the brown paper bag to that same white paper (making sure all openings of the bag were taped shut so they wouldn't jam up the printer) directly over the quote. By doing this, I knew the quote would print on the brown paper bag where I wanted it to because I lined it up with the quote on the white paper. Then I printed the quote again. This time instead of printing on the white paper, it printed on the brown paper bag that was taped over the top. Simple as that! There are six quotes in all to choose from. I used a brown paper bag, but they'd look great on white as well. Click here to print the quotes. I centered one quote per page, so hopefully that will help you in getting the quotes centered on your bags. Oh, and I used small brown bags, not standard lunch bag sizes. The quotes will still work, they'll just be smaller on the bag, or you can try enlarging the quotes when you print.